As a “retired” travel journalist, Lo Lailai Natalie’s current practice is carried out through her “semi-farming semi X” life style. Throughout her research on travel, food and plants, her understanding on the notion of desire gradually elucidates. “How to address a society in slow decline like a cleaning up a room once you’ve made a mess in it.” The sentimental fluidity in Lo Lailai Natalie’s works comes from her worldviews and thoughts while she works the field everyday. Be it the seemingly appealing dream travel destinations, or ice cream, chocolates and other satiating but unhealthy food, or the desires revealed throughout the growth process of plants, Lo Lailai Natalie’s works depart from social events, processed through personal experience, and returns to moving images and installations. In this process, she seeks out new perspectives and angles in order to rebuild the connections among these relationships. Rather than offering her judgments, Lo Lailai Natalie would rather provide skepticisms, while the role of the artist recedes to the position of the observer. In the course of “shatter and rebuilding one’s dreams”, icebergs tumble, chocolate emerges, and the motifs of plants climbs up onto the canvas. The four works on view consists of videos and installations, in which the “reticent power” Lo Lailai Natalie has captured is slowly manifested in the “ecosystem of desire”, transgressed by her continuous quest for answers. Roger-Pol Droit, the French philosopher, teaches us how to open our senses in our mundane life in his book Pull a hair and stroll through the fantasy forest. Lo Lai Lai’s art, similarly, looks at the city experience in a poetic way. Once a reporter for travel magazine, Lai Lai chooses to live as a “Half-farmer, Half-X”. What is her experience like living In between farmland and skyrocket buildings? What is the chemistry between her pace and the accelerated rhythm of the city? Also, how does her art respond to to the rapid development in the Delta-Pearl area? A researcher at Fine Arts Department, The Chinese University of Hong Kong. Selected as one of the Emerging Art Professionals by Parasite (Hong Kong) in 2018. Upcoming publication: The captures and the exhibited: Art In the Camps (1988-1992). Taikang Space is pleased to present its latest episode of Light Pavilion Project on September 13th - a group exhibition curated by young curator Leo Li Chen 陳立（Leo Li Chen）, Today Could Have Been a Happy Day. This is the first time that Light Pavilion Project opens to non-in-house young curators, presenting their closest observations and most vivid statements towards the current reality. Today Could Have Been a Happy Day is centered around the notion of “inherent disorder”.Through the creation of four young artists from Hong Kong, the exhibition explores the future of individual artists’ practice in Hong Kong’s unique political context, where discussions surrounding western democracy and modernity are losing their efficacy. Artists: Kong Chun Hei Kong Chun Hei , Lo Lai Lai Natalie 勞麗麗（Getup Nat） , Eason Tsang Ka Wai Eason Page , Trevor Yeung Trevor Yeung . 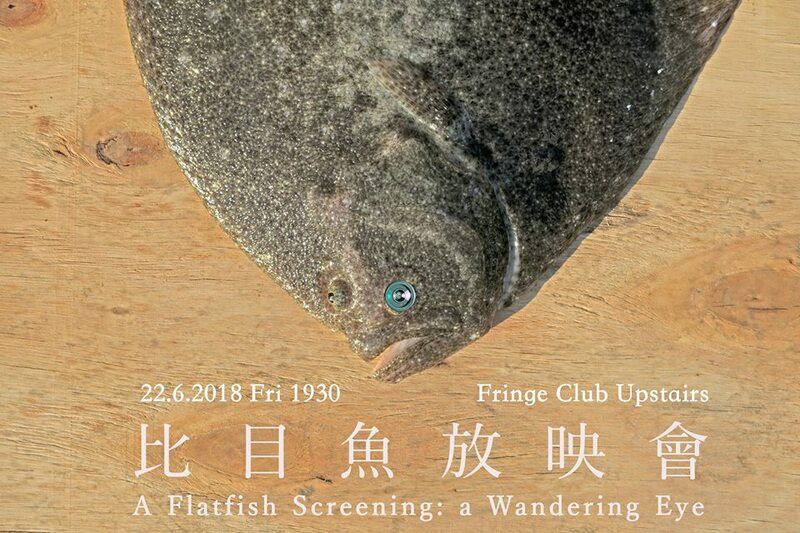 [Screening] 跟 文李 Wong Yik Fung 及 Kaichung Lee 將會做 Screening, 在 Hong Kong Fringe Club 藝穗會 的 比目魚放映會 A Flatfish Screening – A Wandering Eye, 命名也有點源由，還有應該無咩保留的分享會，請多多支持！click 下方的連結就買到！如需要也可向我留票! 謝謝! Four directors will show up (Mark Li, Lee Kai Chung, Lo Lai Lai Natalie, Wong Yik Fung). He looked no different than other fish when he first came here, but his eyes were destined to draw close to each other. Looking at the surroundings, he changes his body colors and sometimes disappears in sands. In fact, the filmmakers act like flatfish too, quietly staring at those incomplete views as observers. This time, “A flatfish screening” will bring four short films from different directors and hold a talk after screening with the directors. Everyone is welcome to take a closer look on the focus of four directors, questioning their reasons of recording incomplete presentations. Is it stand for the presence of absence, or limitations of struggles? At the beginning of 2017, a Cantonese opera was performed in the modern theatre of the Hong Kong Academy for Performing Arts in the ordinary way. The creator, KAM Shing Hei, who is an art student majoring in Music composing, used a string quartet, gongs and drums, and Cantonese opera actors as the key elements of his show. The creative process of the work provokes Kam’s further thoughts on the cultural issues among the art form itself. As being art students and performers, what inspiration can we gain from Kam’s reflection and experience? Can’t live Without is an ongoing project that originates from LEE’s research on art archives and their social context in Korea and Hong Kong. The artistic research started with the sonic quality in visual archive, the body of work sheds light on how power structure influences pattern of archival practice and historiography. In comparison with national archives or historical archives, contemporary art archives differ in their constitution, discipline, ways of acquisition, personnel in charge, subjects, etc. Though art archives do not diminish its social context or reduce the discursive space exclusively to a confined realm of art; nevertheless, the oscillating status under artistic and archival context complicates the constitution and representation of art archives. The project is presented in a filmatic sequence of five chapters, which covers a rhizomatic network of social movement, language, mythology, geography and archival discipline. The notion of discontinuity for historic narratives that leads to a greater consciousness of events and individuals. She became a Deep Flight in the natural environment, never saying no, delivering diverse kinds of matter and happening, including desires. The short appeared to be a nature poem, yet it aroused puzzles and sorrows. The hidden desire became visible and turned into images and text that the artist still could not get over them. After the work《Voice from Elsewhere》(a moving image work in The Sustainable Festival 2018), the artist has planned to make a new work. She coincidentally visited the fish-farming pond in Tai Sang Wai, Yuen Long, Hong Kong. With a repeated practice on shooting and editing, she also illustrates her personal life experience. Yet, the story was more than an intimate mumbling. The film intended to suggest questions to the director and audience. The biochain itself was an interdependent network, drawing one’s individual perception deep into the abyss. Mark LI is freshly graduated from the film school. His doubt in the masculinity of the film industry provokes his bewilderment as a documentary filmmaker. WONG Yik Fung is freshly graduated from the film school. Through making documentary, he can make his livelihood yet exploring the world. LO Lai Lai Natalie is a former travel journalist. She is interested in the development of tourism and the construction of nature. She is a learner at the collective organic farm Sangwoodgoon (Hong Kong) where she also explores the lifestyle of ‘Half-Farming, Half-X’ – a practice that seeks alternatives and autonomy as an artist and Hong-Konger. Lai Lai founded the Slow-so TV channel, with a focus on food, farming, fermentation, slow-driving, surveillance, and meditation. Recently, Lai Lai is especially interested in the mutual control and dependence of the emotion and desire found among human being and the nature. The nature and humanity are inextricably bound up in conflict and power struggle. It certainly offers an absorbing insight into the reflections and perceptions. Lai Lai joined the following projects in recent years: < The Fish Pond Sustainable Art Festival> (2018), (2017), < Oi! :Interlocutor ︱You Are Not Alone>(2017) and < HK FARMers’Almanac>(2015). Chan Ying Wai was graduated from the School of Film and Television, The Hong Kong Academy for Performing Arts, major in Directing. He then received his master of arts in fine arts at The Chinese University of Hong Kong. He now teaches at the School of Film and Television, The Hong Kong Academy for Performing Arts and his teaching area includes Silent Cinema, Video Art, Documentary Production and Graduation Project. His directorial works include short film SOMEONE’S RUNNING (2008), which has received the Best Film Award (Open Category) and the Big Wave Award in Fresh Wave Short Film Festival, and documentary LANDSCAPE ON THE OTHER SIDE: HONG KONG CINEMATOGRAPHER BILL WONG (2010). In 2013, his video installation AS DISTANT AS THE STARS received the Cactus Prize in the Master of Arts in Fine Arts Graduation Exhibition. His sound installation HERE was presented in an exhibition, What Unimaginable Forms, at Comix Home Base. My previous work Deep Flight 《飛天潛水艇》2017 will be shown in the coming up screening in Hong Kong! It was selected as The 23rd ifva Awards – Finalist. The ways of preservation and demolishment always appear controversial to me. What are we demanding from the nature ?Or it was just fulfilling our desires? The Deep Flight in the story is actually the essential natural element for living. It told us the story of desires. Lo Lai Lai Natalie is a former travel journalist and has gained her MFA in the Chinese University of Hong Kong. She is interested in the development of tourism and the construction of nature. 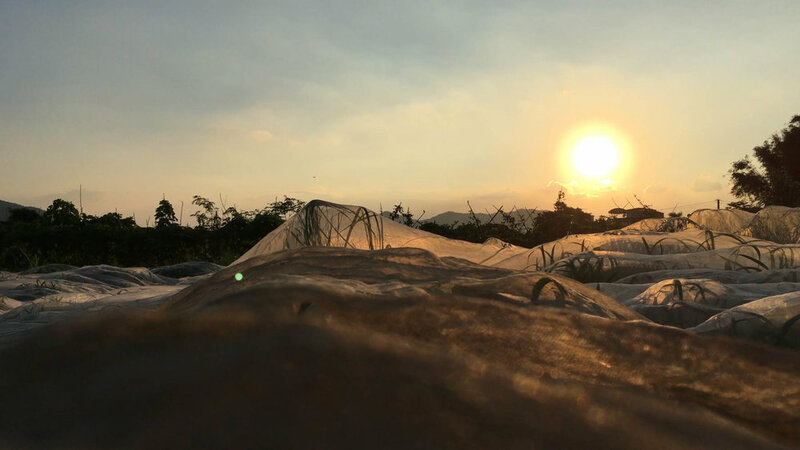 As a learner at the collective organic farm Sangwoodgoon, she also explores the lifestyle of ‘Half-Farming, Half-X’ – a practice that seeks alternatives and autonomy as an artist and Hong-Konger. She has founded the Slow-so TV channel, with a focus on food, farming, fermentation, surveillance and meditation.